LITTLE Wardrobe is a new online initiative giving you the opportunity to swap the clothes your little ones have outgrown. 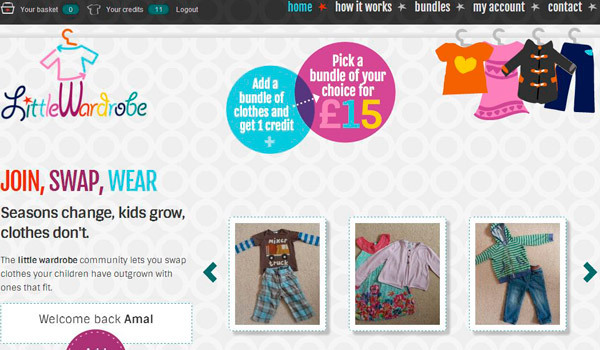 It’s an easy way to exchange top quality and pre-loved clothing for both babies and children up to the age of eight. Simply bundle up six to eight items of your children’s outgrown clothes and list them on the website with photographs and a description. Every bundle is listed according to age, gender and season, making the browsing process quick and easy. Why not join the Little Wardrobe community? Visit www.little-wardrobe.co.uk for a welcome pack and details.